When it comes to faculty, we have reached a watershed moment. During the next decade, half of the University’s faculty members will reach retirement age. 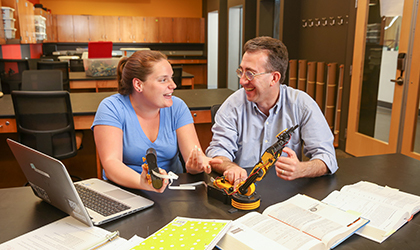 These women and men are faculty stalwarts: thinkers, researchers, artists, gifted teachers, experienced practitioners, people of faith and ideas and action whose work advances their disciplines as it elevates the lives of the students they teach. And many of them are about to leave, which presents us with both a significant challenge and a great opportunity. Forever Valpo will raise the endowed funds to support and shape the faculty of the future. Valparaiso University alumnus Michael “Mike” Gruszyk ’85 has generously committed $1.3 million to fund an endowed professorship and a scholarship in the College of Business. Valparaiso University has received more than $1.1 million from the estate of Dale F. Kempf ’62, a longtime faculty member in engineering and physics, for endowed faculty development funds in the College of Engineering. Jan and John Draheim ’64, M.S., have committed funds to support the College of Engineering and the Valpo Fund. Thanks to generous alumni, Valparaiso University has received a $2 million commitment for endowed faculty fellowships in the College of Nursing and Health Professions and the College of Engineering. Four fellowships will be established in each college with the support of Joyce Hagen ’79 and Donald Fites ’56. THERESA KESSLER, Ph.D., RN, ACNS-B.C., CNE, professor of nursing, was inducted as the Kreft Endowed Chair for the Advancement of Nursing Science in December 2015. While the appointment is an important accomplishment in her teaching career, the real impact will be on her students. 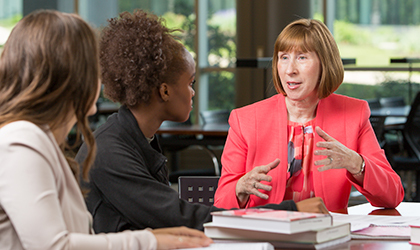 As she has since joining the faculty of the College of Nursing and Health Professions in 1994, Professor Kessler directs her efforts toward enhanced learning experiences for nursing students. 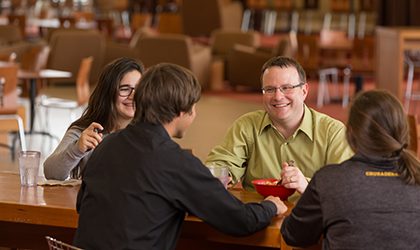 Intrinsic to the successful student-faculty connection is a shared commitment to excel at an institution where faith and learning thrive. To help new tenure-track faculty members better understand what it means to teach, live, and mentor within the Valpo academic community, the University developed the Cambridge Seminar for New Faculty. Valparaiso University alumni SUE HEITMULLER ’70 ZIMMERMAN AND LARRY ZIMMERMAN ’70 have committed $625,000 to fund multiple areas of interest at Valparaiso University. 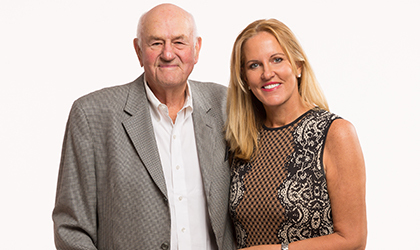 Sue and Larry established endowed funds for student scholarships, Study Abroad, the Institute for Leadership and Service and engineering faculty development. Additional support will be directed to multi-year, annual giving commitments to the Valpo Fund and the College of Engineering Dean’s Fund. 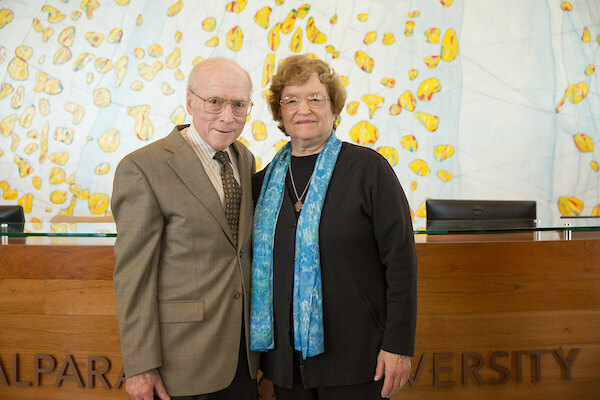 Thanks to generosity of JOYCE HAGEN ’79 AND DONALD FITES ’56, Valparaiso University has received a $2 million commitment for endowed faculty fellowships in the College of Nursing and Health Professions and the College of Engineering.